In a continent where arid zones are prevalent and “boom and bust” environmental conditions alternate at changing temporal scales, the environmental theme will pay particular attention to high-resolution geological archives of past climate change including; outcomes from the IODP, advancement on isotopic techniques and how climatic records can shape our climatic understanding (past and future). The environment theme will also encourage the discussion of the potential effects of increasing energy demands and fast development of coal seam gas and other energy and resources, with particular interest on groundwater quality, quantity and other impacts on the hydrological cycle. Coastal environments are increasingly becoming the focus of climate change research, not only for the study of contemporary processes but also in attempts to better understand past conditions. This focus has drawn out three key themes in recent research. First – that an understanding of past conditions is essential to achieving a better understanding of what can be expected under future climate change environments. Second – that while Australia’s coastline may be dominated by climate-related processes it is essential to differentiate these from tectonic-related activity. Third - that an understanding of coastal processes in different settings can help to better understand the impacts of natural hazards on coastal communities and help reduce risk and promote increased resilience and mitigation. With these points in mind, we welcome submissions that relate to earth science research that attempts to better understand Australia’s coastal environments. Groundwater resources within Australia are extremely critical resources for communities, industries and healthy ecosystems. Groundwater is a significant resource and currently makes up 17% of the accessible fresh water resources within Australia (NWC 2012). Knowledge of our geological systems is therefore fundamental in understanding one of Australia’s key precious natural assets, groundwater. Alluvial and recent sedimentary basin provinces are reasonably well known however there is much poorer information available for older sedimentary basins and our fractured rock provinces. Groundwater extraction for potable supply and agriculture along with interception activities such as mining and coal seam gas extraction, to secure Australia future energy requirements, need to be balanced by environmental water needs for long term ecosystem health and function. There is an ongoing need for robust science and research along with pragmatic policy and integrated water management to achieve a sustainable future. The sustainability of groundwater is often considered in short time steps when compared to the geological record and the role of geological sciences is critical in providing this vision to the broader hydrogeological community. Australia’s precious resource requires the continual attention of our groundwater and geological professionals and the Australian Earth Sciences Convention Hydrogeology Session provides this platform. During the last decade, exploration for coal seam gas resources has rapidly expanded in many sedimentary basins throughout Australia. Concurrently, there has been growing public concern that activities associated with the production of CSG (e.g. hydraulic fracturing, extraction and disposal of co-produced groundwater) may impact on the quality and quantity of water resources. As a result, the interaction between aquifers and coal seams targeted for unconventional gas resources is increasingly becoming a focus of groundwater research in Australia and overseas. - Upscaling of impact assessment models for regional cumulative impact assessments. - Modelling dual phase flow at the regional scale. - Characterisation of uncertainty and regional aquifer management risks resulting from CSG developments. - Characterisation of fault systems in regional-scale models. • Innovative characterisation of groundwater flow dynamics in aquifer/aquitard systems. Improving our understanding of oxygen and hydrogen isotope variability in the hydrological cycle helps to define inputs to hydrological systems (surface water, groundwater) and geological archives. In turn isotope composition of geological and groundwater archives may serve as records of long term hydroclimate variability, and the isotopic composition of more transient hydrological archives can provide insights in to climate processes at shorter time scales. This session will review the state of the art in oxygen and hydrogen isotope systematics within the hydrologic cycle, in terms of proxy interpretation, monitoring, and modelling of hydrological, climate and archive systems. The Integrated Ocean Drilling Program (IODP) has been the world's largest academic geoscience program involving scientists from around the world including Australia and New Zealand. It ended in late 2013 and is being replaced by the International Ocean Discovery Program (also IODP). The Newcastle AESC is an excellent venue at which scientists from around the world. can present exciting results from the past and exciting proposals for the future. The main elements of IODP. past and future are climate change, deep life, planetary dynamics, and geohazards. Earth surface landscapes evolve as a result of complex interactions of both exogenic and endogenic processes. Understanding dimensions and timescales over which these processes operate is important in light of potential feedbacks between tectonic activity, structural inheritance, climate change and human impacts. The last decade has seen a remarkable increase in the capabilities, proficiencies and applications of diverse geochronological and geochemical techniques, such as low temperature thermochronometry, in-situ cosmogenic nuclides, uranium-series isotopes, radiocarbon dating, noble gas spectrometry and optical stimulated luminescence, to provide quantitative measure of the rates of geomorphic processes acting over a wide range of temporal and spatial scales. These technological advances together with stable isotope proxy-based paleo-climate and paleo-environmental reconstructions have contributed to revolutionizing Quaternary research in the study of the Earth’s environment over the past few million years. We invite contributions which focus on improvements of analytical techniques (precision, accuracy, sensitivity, reduction in sample size), developing new tools and innovative applications of such techniques to novel questions (basin-wide sediment inventories, tectonic versus climatic impacts, exhumation and denudation, passive margin retreat). 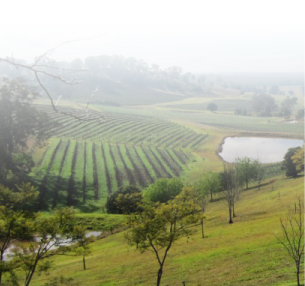 Groundwater management in Australia has in the past decades focused predominantly on the quantitative aspects of changes to management strategies. In the light of the arid and semiarid nature of much of Australia and recent droughts this is understandable. However, changing fluxes in the water balance of catchments (i.e. between surface waters and aquifers) by groundwater abstraction (or other activities) can change flow paths which in turn can have effects on the water quality by mobilising salts, trace elements, nutrients, organic matter etc. These effects can often be difficult to detect (wells are needed in the right locations and they need to be monitored), and they may have long time lags to points of impact (groundwater flow is slow). This session focuses on (ground)water quality changes caused by the changes in physical water management. The scope could be expanded to include surface water quality if groundwater is too narrow.